Working my way through the crochet edgings section of the Needlecraft Book has been going well the past week--I finished the Seahawks blanket I posted last week, and a second blanket in the meantime! Yarn: Knit Picks Swish Worsted in marine heather (one sc crochet base, then dc around = 1.5 skeins, 165 yards); the picot scallop pattern is in Knit Picks Stroll Brights in sour apple held double, used approx. .85 of one skein total. Mods: None! Next time I would love to try to mirror the picot on the base dc round, maybe playing with different sized stitches. And here's the second blanket! 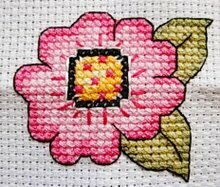 This one used the bold scallop pattern on page 147 of the book. I really like the substantial look of this one--cute, but not too frilly. I think this will be my go-to for the "boy" blankets I make! 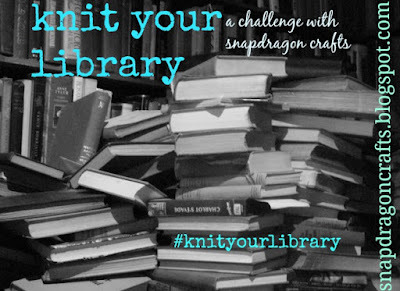 Hope your knit your library challenge has been going well so far this month! Your blanket edgings are wonderful! 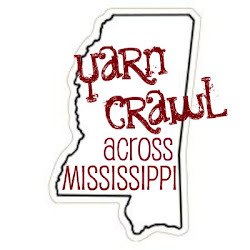 Knitting through your library is such a great idea. Looks beautiful! Really adds a nice contrast to the fleece.